Across the areas of attracting, sourcing, and progressing candidates through a positive experience there are many moving parts. It can be a challenge to understand quickly and clearly, what’s working and what’s not, and where to invest attention and budget. And while there is a ton of data available this isn’t always at the right level to inform decisions. A deeper look at your recruitment, channel and candidate data can deliver visibility into the effectiveness of your efforts and tell you where focus is needed. 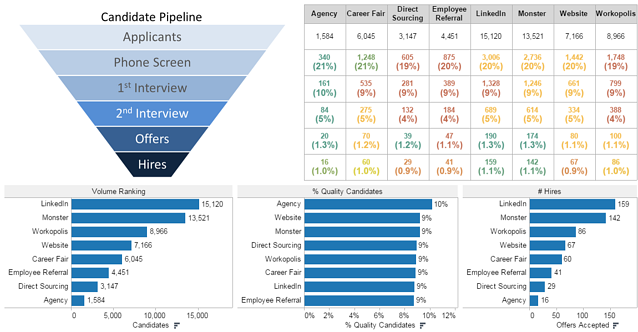 Candidate Pipeline Analytics provide visibility into what’s working and not working across each stage of your hiring process so you know where you need to focus. This drives targeted improvements in finding, qualifying and converting quality candidates into highperforming and loyal employees. 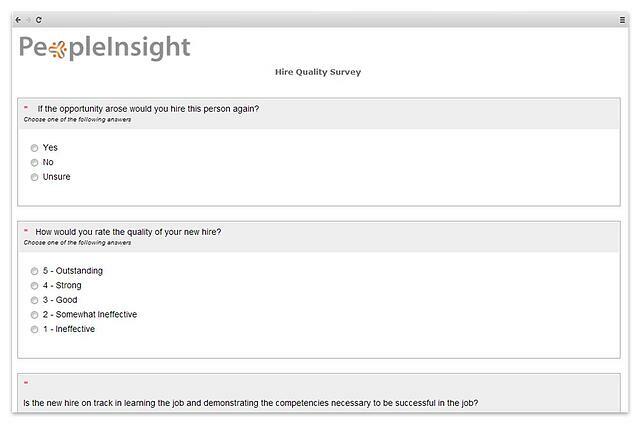 A Candidate Experience Survey is a great way to build on insight from candidate pipeline analytics, providing the ‘why’ behind the numbers. These survey results provide the context needed to take targeted action in improving recruitment and hiring, and showcase your employer brand to continually attract the highest quality candidates. Read our ebook "It's time to re-think people surveys" for our automated, connected approach. 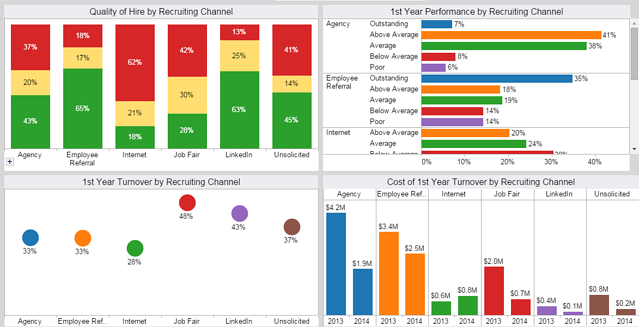 Talent Acquisition Analytics provide the insight required to drive focus. 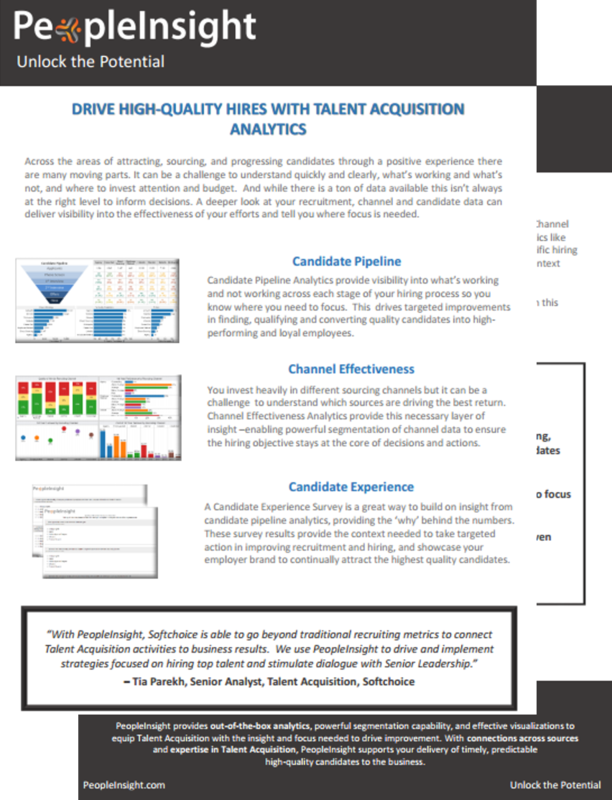 Candidate Pipeline and Channel Effectiveness Analytics provide the right level of detail, segmented across important characteristics like role and geography to understand clearly the optimal volume and conversion rates to meet specific hiring objectives. A Candidate Experience Survey provides the next layer of insight – unearthing the context behind your pipeline numbers. With heightened visibility, you can see what’s working, what’s not, and where you’re stuck. From this vantage point, knowing where to focus attention and investment is clear. 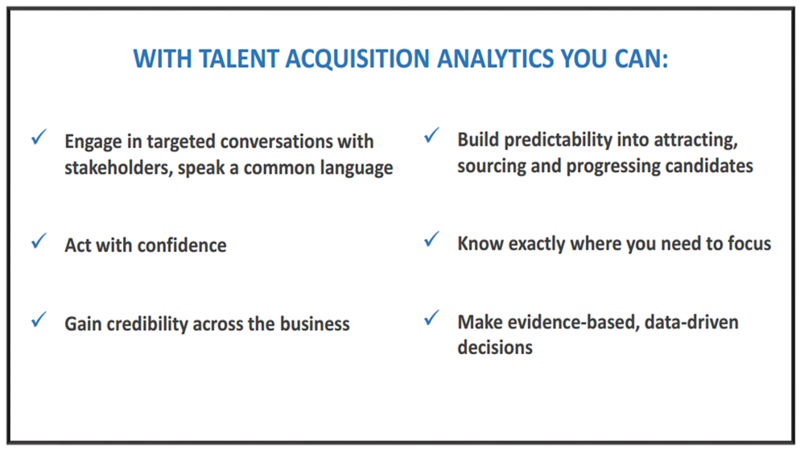 Talent Acquisition Analytics provide the insight required to drive focus. See these analytics in action - watch our short demo now!